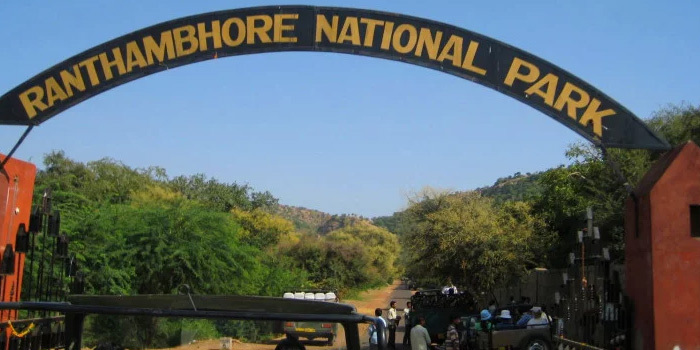 The Ranthambore Tiger Reserve in Rajasthan has earned around Rs 19.7 crore from its park entrance fee only in 2016-17, more than given to it by both the Central and the state governments, a wildlife report said here. The reserve, located in Sawai Madhopur area of Rajasthan, added Rs 217.2 crore an annum through visitors’ lodging and services, making it a crucial economy to the region and the state government. The park has been raising the tiger numbers to a total of close to 70 individual wild tigers spread across more restored natural habitat. This was disclosed in a wildlife report called “The value of Wildlife Tourism in Ranthambore Tiger Reserve” prepared by Dr Raghu Chundawat in association with TofTigers. It was launched on Tuesday night at the British High Commissioners residence here. The tiger reserve employs more than 2,200 people in hospitality services alone, the report added. According to the report, revenue from local village enterprises stands at around Rs 1.14 crore which is four times higher than non-tourism villages. Shops and businesses on the Ranthambore road earns Rs 8.74 crore. It added that since the implementation of the tourism guidelines, tourism grew at a rate of 27 per cent which was much higher than in Kanha tiger reserve (6 per cent) and Bhavangarh (0.2 per cent).